The events leading to the Deauville began a long time ago, back in 1982 when Honda decided they needed a new middleweight to take over from the ageing CX family. 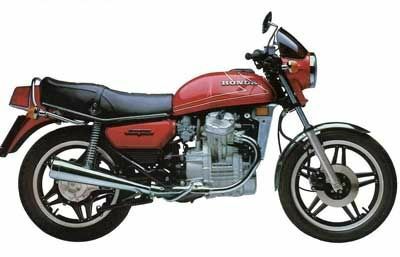 So, for the 1983 model year there were 3 new Honda 500s: the sports-tourer VT500 Euro; the cruiser VT500 Shadow, and the flat track styled sports VT500 Ascot. The engine was all-new from the ground up. Each of the cylinder heads held 3 valves: 2 inlet and one exhaust. 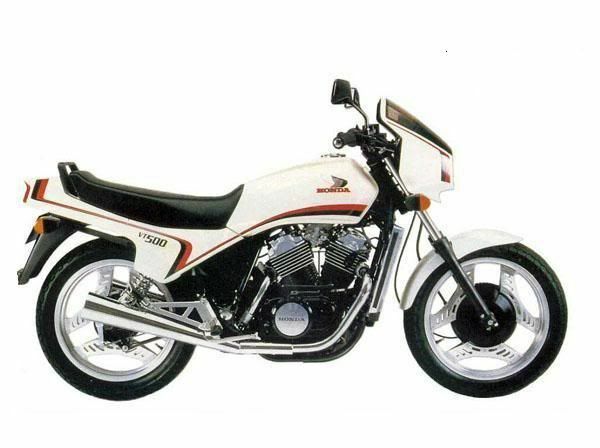 Although having the same number of valves as the old CB250/400/450 twins, the design was totally different. Two sparkplugs aided burning, allowing a high compression ratio and relatively little spark advance. One overhead camshaft, operated via chain, in each of the unique cylinder heads opened and closed the valves. Exhaust emitted through three different systems; a 2-1-2 on the Euro, a 2-powerchamber-2 on the Shadow, and 2-powerchamber-1 on the Ascot. All three models featured liquid cooling, 6-speed gearbox and shaft final drive. As a styling exercise, the cylinders and heads had cooling fins cast into them. As the engine evolved into new models over the years, some maintained the fins while others got smooth castings. Also, some models were converted to chain drive, others kept the shaft. 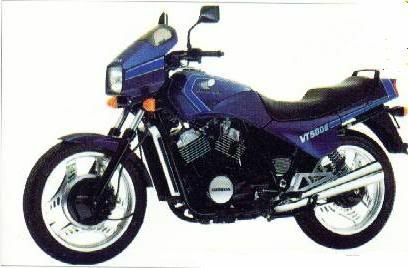 The next model to come along with an engine based on the original VT500, was the XL600V Transalp. On the outside, the larger engine looked identical to the 500, but now with chain drive. Maximum power output was similar, but it now came in much earlier. This meant that the torque was significantly increased. The sixth ratio in the gearbox was dropped. This engine was later restyled and detuned and fitted in the VT600 Shadow. However, the engine wasn't at the end of its development yet, and was shortly increased in capacity to 650cc and fitted to the XL600V Africa Twin. A year later it grew once more, this time into a 750, still carrying the Africa Twin designation. 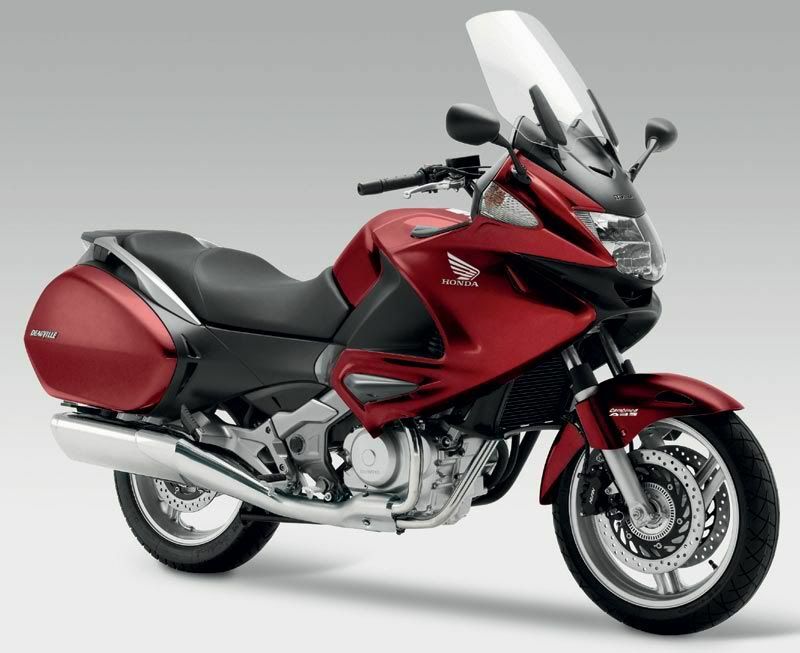 In the meantime, Honda had also introduced the sports-tourer NTV650 Revere and the sports NT650 GT Hawk. 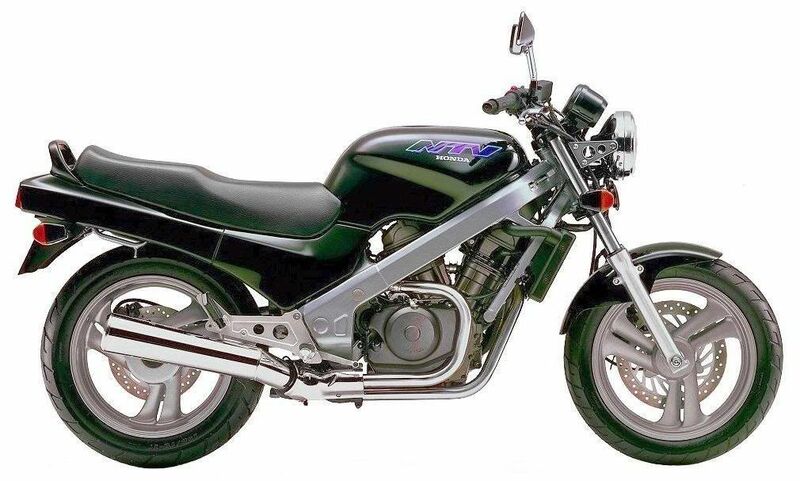 These two bikes shared many parts and design clues, but differed in many details. The frames appeared identical, both with a single-sided swing arm, but the NTV-unit was made up of steel and the NT-unit from alloy. Also, the sports-tourer maintained the shaft final drive from the VT500 Euro, whereas the Hawk had chain final drive from the 650 Africa Twin. Apart from the final drive, both engines were identical and with smooth cylinder castings. Just like the Euro before it, the Revere offered a large fuel tank which, combined with low fuel consumption, offered extended range between fill-ups. The seat was comfortable for long days as well, although legroom was more cramped on the new model. This was the result of the increased cornering clearance offered by the Revere, now up to pure sports bike standards. While the old Euro ran on relatively narrow 18-in. wheels with a complex encapsulated front disc brake and drum rear brake, the Revere had modern, wide 17-in. wheels and conventional disc brakes front and rear. A mono-shock replaced the twin shocks at the rear suspension. The Hawk was a semi-replacement for the Ascot, although the two don't compare very well in detail. 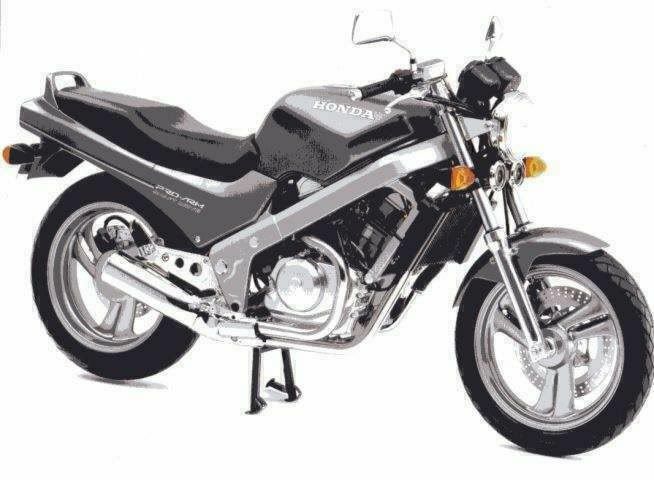 The Ascot was supposed to look like Honda's period flat trackers, dictating an upright riding position and a small fuel tank. The Hawk unfortunately kept the idea of a small tank, but the seating position was definitely sporting with a significant forward slant. Both were made for carving corners, but chassis technology had mage a huge leap forward in the 5 years since the Ascot was introduced and until the Hawk saw the light of day in 1988. 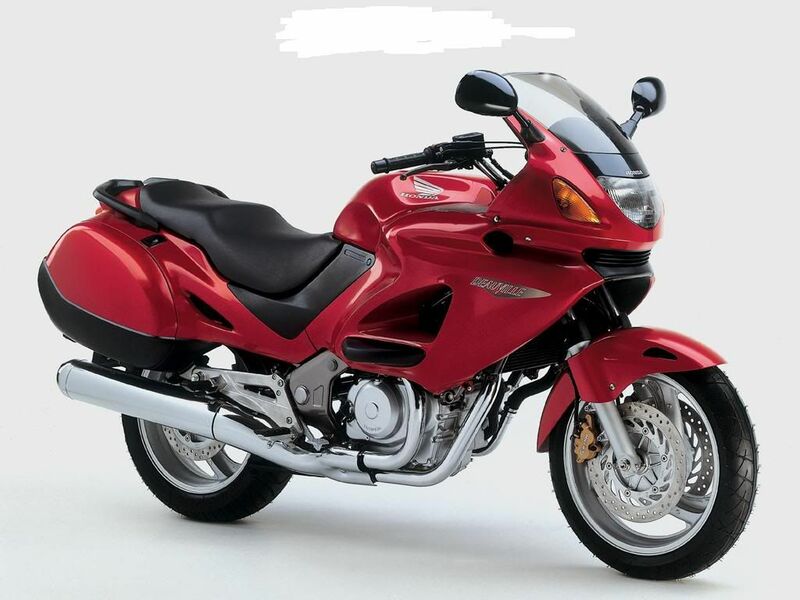 Then, for the 1998 model year, Honda came out with yet another model based on the venerable VT-engine, namely the Deauville. It kept the frame and engine virtually unchanged from the Revere, but the swing arm now was double-sided. This feature makes it harder to change the rear wheel, but allegedly increases the load capacity. However, what really sets the Deauville aside is its bodywork. 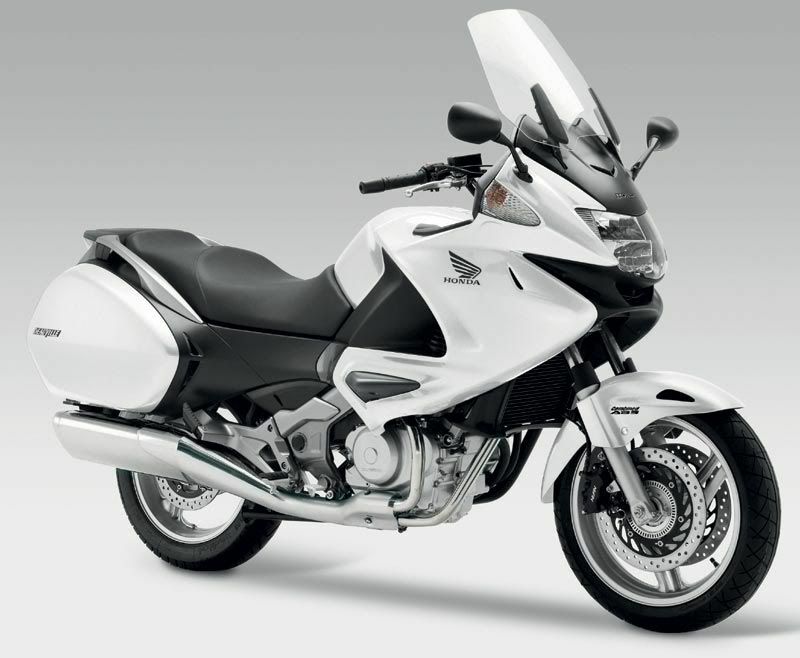 With a sports-touring fairing and hard luggage, the new model was definitely intended for the serious traveller. A better seat and lower, more forward pegs aided comfort. 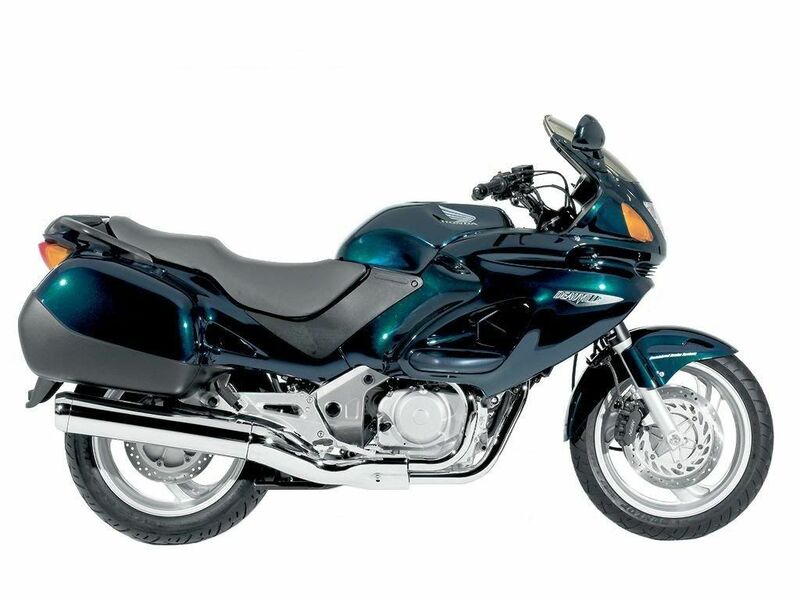 To further increase its touring capabilities, the customer has the choice of larger lids for the saddle bags, a top trunk, tank bag, fairing lowers, heated grips and a radio. There is also a pair of small storage compartments in the fairing. So equipped, the Deauville makes a great solo tourer. 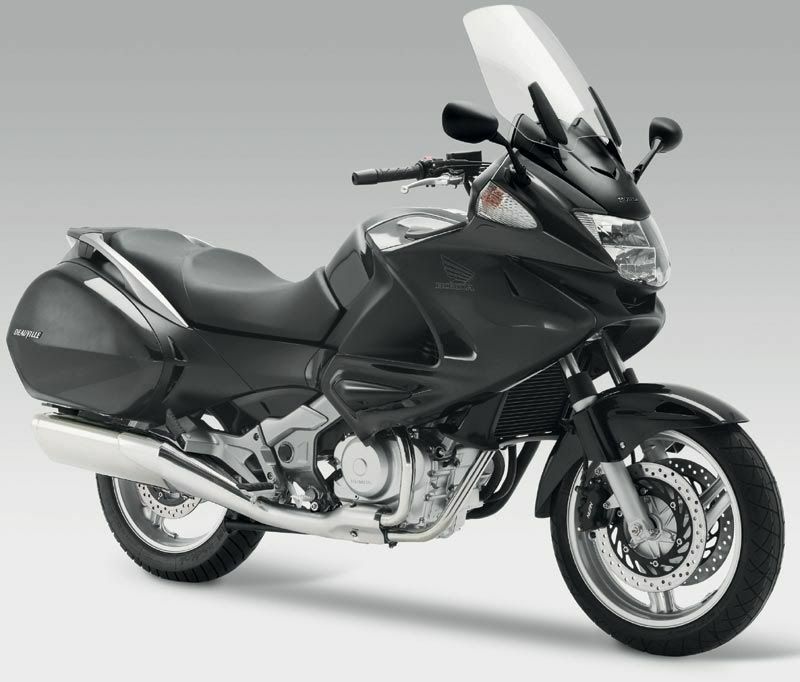 For two-up touring over great distances, the bike is not ideal due to lack of room, both seating and luggage, and power. This is especially true for large people. 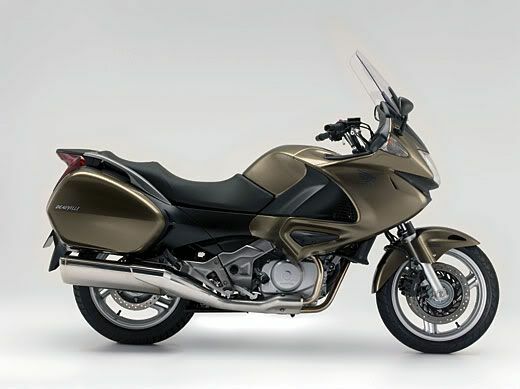 The Deauville is the first purpose-built middleweight touring bike since the GL650 Silver Wing, which was discontinued after 1983. Even today, its closest rival rests inside the Honda family: the 800 Pacific Coast. However, the PC lacks the sporting potential of the Deauville. The Deauville may be the perfect bike for those who seek long-range comfort combined with good cornering capabilities in an economical package.